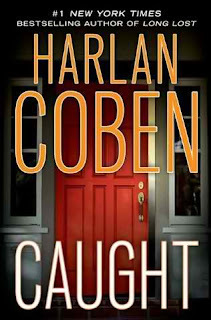 Harlan Coben is a prolific thriller novelist and author of the Myron Bolitar series -- Caught is one of Coben's latest stand-alone novels. Dan Mercer is well-liked and popular, especially among teenagers whom he helps as a social worker. When Dan is called to the home of a teenage girl to help her through a crisis, he is surprised to find a news crew waiting for him instead and learns he has been set up. Within just a few minutes, Dan has gone from being a neighborhood saint to having a ruined reputation as a child molester. Enter Wendy Tynes into the picture, a dedicated reporter hell-bent on keeping children and teenagers safe by exposing sexual predators to the public via national television. Before too long, Wendy learns that Dan Mercer may be innocent and may have been set up, despite his link to a missing 17-year old girl from a nearby jurisdiction. Suddenly it's up to Wendy to begin a new investigation into clearing Dan's reputation and discovering the true evil entity behind these crimes. 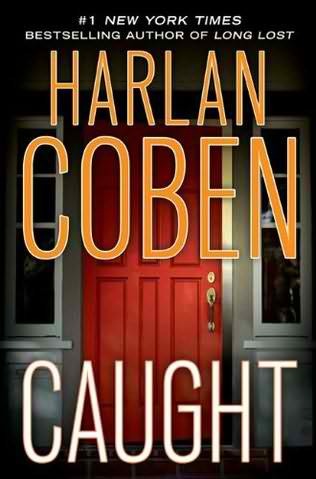 Caught is definitely a suspenseful page-turner although it does lack character depth and substance to a degree. Coben introduces Wendy and works all the angles to make us perceive her as a nasty, ruthless wench. It's not until much later that we learn more about Wendy's noble character, but by that point we're already so caught up in the story that it no longer matters. The mystery Coben has weaved is tricky and difficult to figure out -- in fact the clues may not effectively add up until everything is presented at the very end. The most important factor is that Caught holds your interest for its entire duration, even if the end result is less than memorable. There are a crew of characters I did enjoy reading about in Caught , and they were the unemployed, once-successful men and fathers who were friends with one of Dan Mercer's old college buddies. One of the men was trying to take a stab at being a popular, white rapper, whereas another was trying to make a quick buck selling worthless product on Ebay. These men served as comic relief within the novel and transformed my image of Krispy Kreme for a short time. I definitely recommend Caught to fans of Harlan Coben 's other novels but not to just anyone seeking a thriller, mainly because you won't remember this novel after you read it. It reminded me a lot of Nevada Barr 's 13 1/2 , a stand-alone novel aside from her Anna Pigeon series. Read our review of 13 1/2 here: Dreamworld Book Reviews -- 13 1/2. Harlan Coben 's latest stand-alone novel is Stay Close , due to release in March 2012. The latest book in the Myron Bolitar series is Live Wire (March 2011).